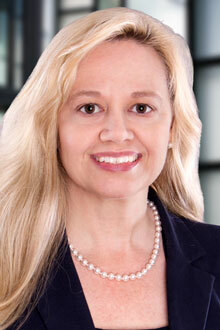 Susan Briones is a senior associate with the Dallas office of Lewis Brisbois and a member of the firm’s Healthcare practice. With a long term focus in Health Law, during law school Ms. Briones was a member of University of Houston’s Health Law Association, the Health Law & Policy Institute, and was Chief Notes & Comments Editor for the Houston Journal of Health Law & Policy. She then obtained her Master of Laws Degree in Health Law from the University of Houston Law Center’s nationally ranked LL.M. Health Law program. Ms. Briones has practiced healthcare liability defense in Texas for over 15 years and has extensive experience representing healthcare providers including physicians, nurses, dentists, pharmacists, and social workers in healthcare liability claims and providing legal assistance in employment, compliance and contracting matters. She also handles cases involving healthcare institutions such as hospitals, skilled nursing facilities and nursing homes, assisted living facilities, and freestanding emergency, surgical, and general medicine clinics. Ms. Briones also has many years’ experience defending doctors, nurses, dentists, social workers, and other healthcare professionals before state licensing boards, successfully resolving board complaints and investigations at every stage from initial complaint through Informal Settlement Conference and beyond. In addition, she has represented healthcare providers in Quality Improvement Investigations by private insurers and Medicare (KEPRO), HIPAA violation investigations by the Department of Health & Human Services Office of Civil Rights, and healthcare fraud investigations by the U.S. Department of Justice. Suicide: The Shifting of Responsibility from the Individual to Others: A Proposal for Changing Liability Standards Applicable to Physicians When Their Patients Commit Suicide; University of Houston Law Center LLM Program Thesis, 2009.